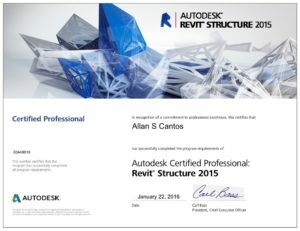 Revit-Dynamo-PowerBI Guide is now selling at a fixed prize from today to make it affordable for everyone. It does cost less than a fiver and cheaper than a pint of beer. Grab a copy now! 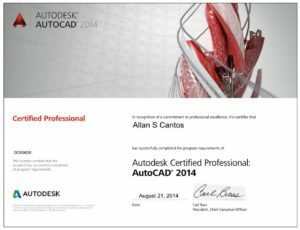 Any issues, errors or corrections, please give me a shout and I’ll sort it out quickly. I trust you’ll find the tutorial helpful. Hello there! I trust you are well. 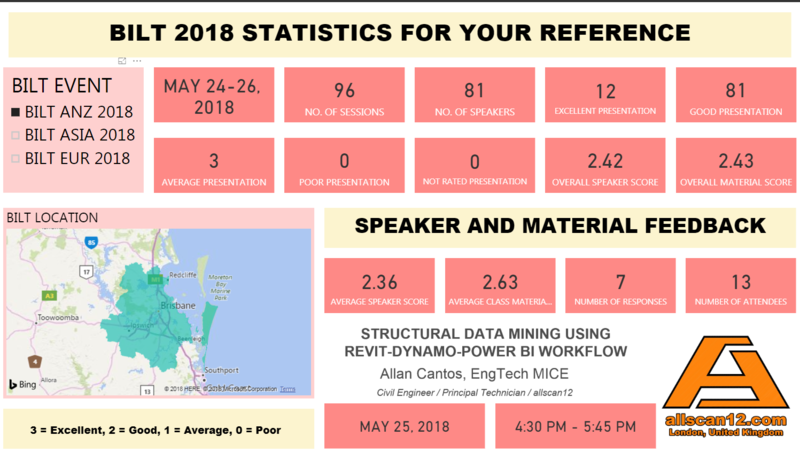 I did a quick Power BI visualization of BILT 2018 events statistics where I took part. At the end of this article, you’ll find a link where you can view the results live in Power BI. Please see images below for the results. 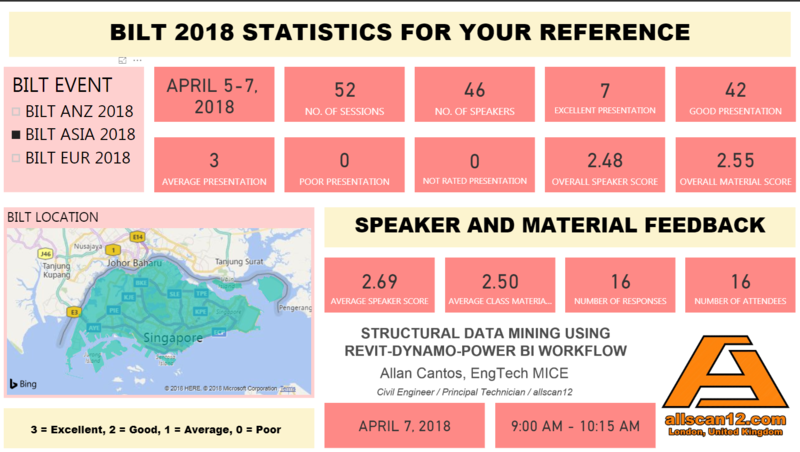 Here is the link for the list of BILT EUR 2018 speakers who made it to the top 10: Top 10 from BILT Europe 2018. Congratulations once again to those speakers who made it to top 10. I trust you are all doing well. 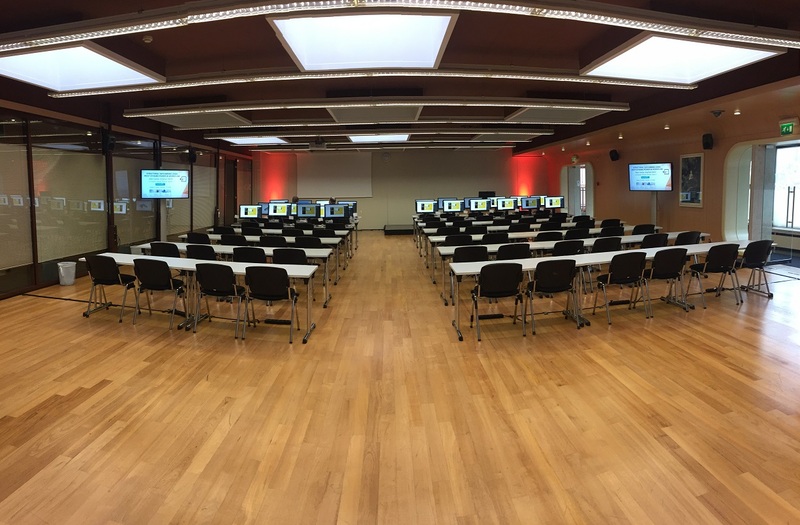 Allow me to share with you some feedback I received from attendees of my laboratory session at BILT EUR 2018 held at Ljubljana Exhibition and Convention Centre, Ljubljana, Slovenia on the 12th of October 2018. 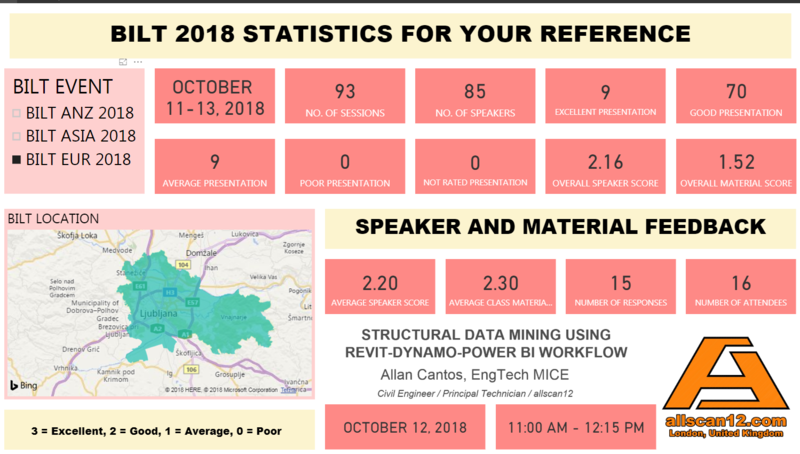 Here is the link for those speakers who made it to the top 10: Top 10 from BILT Europe 2018. A big hand of applause to all the speakers who made it to the top 10. Was speaking too fast for the accent, but very interesting topic. Very good content. Just could have been a bit slower and make sure everyone is on the same page at each step. Helpful, willing to explain and repeat. Created enough fail-safe points if stuck with the practical part to keep up with lessons. Interesting and a good deep dive into the topic. Perfect for my personal skill level. Quite interesting lab – but the speed was rather high. I was able to follow but only be leaving a few of the repetitive items out – maybe that would help others too to relax the timing. 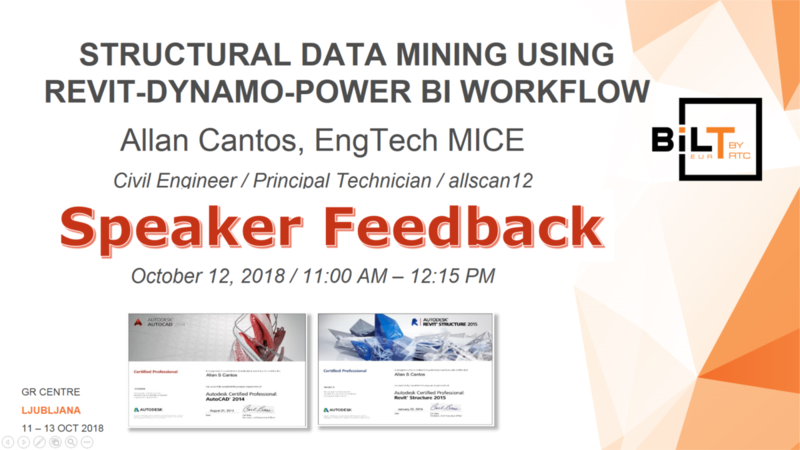 Considering the topic where we had to look at 3 software packages, four actually with a little bit of Microsoft Excel, for the span of 75 minutes, there are so much to discuss and I did my best to deliver the presentation at slower speed in comparison to that when I delivered this in live presentation (where delegates just watch and listen) during BILT ASIA 2018 and BILT ANZ 2018. Nevertheless, thank you for the wonderful experience of being part of the BILT Europe 2018 family. If you happened to be one of the attendees in my session, your feedback is highly appreciated and thank you for your support. I hope you learned something new in attending my laboratory session.